While many may not see it this way, Hughie Fury considers Anthony Joshua “very vulnerable,” and the 24-year-old heavyweight thinks he can beat the unified champion if given the opportunity. Asked about Joshua’s win over Alexander Povetkin this past weekend, Fury told Sky Sports: “He did what he had to do, he got through the fight, and he won, so well done to him. “He is very vulnerable. He struggled a bit in the first few rounds. He got a bit hurt in the first, and very wary. 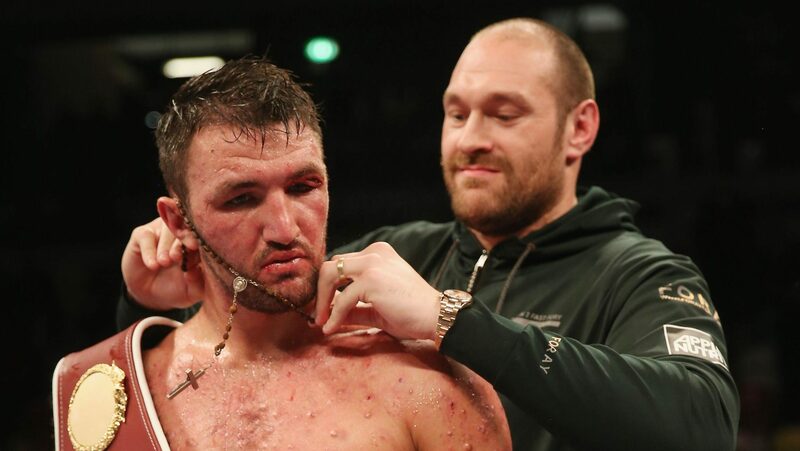 While Joshua is determined to face WBC heavyweight champion Deontay Wilder on April 13th at Wembley, Wilder must go through Hughie’s cousin, Tyson Fury, on December 1st. The younger Fury has his own issue in-front of him in a fight with Kubrat Pulev, in a title eliminator on October 27th. “I’m a young man, I’m very determined,” said Fury. “A different fight altogether and that’s the fight I want, and I believe 100 per cent I’ll be victorious when that fight comes around.